Delhi University Teachers Union (DUTA) and other prestigious research and teaching communities of Universities across Delhi have created a list of “Demands” which they feel are urgently required to be met.This jointly prepared formal agenda has been prepared so that various political parties contesting for the Lok Sabha elections, understand the shortcomings of the current education system in the country and act upon it immediately. The 3 page formal agenda describes key demands like democratising the education system (giving a voice to all stakeholders like teachers, students professionals) rather than limiting the decision making bodies like the AC, EC and Staff Council within a small group of people who are generally not from an academic background, a public expenditure of 6% of the GDP for Public Education as was suggested by the Kothari Commission in 1964, reduction of bureaucratisation and privatization of education. The agenda also reiterates DUTA’s struggles against FYUP and states how large scale academic restructuring like Delhi University’s Four Year Undergraduate Programme which was introduced hastily without honouring democratic procedures has the potential to cause more harm than good. The weak leadership provided by the VC, Principals and Directors whose appointments are influenced by political and money power have also been criticised in the agenda as an inhibitor to quality education. a) States should not abdicate their responsibility to the people and concentrate more on public education. b) The immediate implementation of the recommendation of 247th Joint Parliamentary Committee of MHRD which incites that the ‘paradigm of efficient governance’ be changed to the ‘paradigm of democratisation’ of decision making process of all stakeholders. c) Minimisation of the role of MHRD, State Bureaucracy and UGC in the functioning of higher education. d) Contractualisation should be discontinued, and the lack of posts lying vacant should immediately be filled. e) The recent Debilitating experiments in DU be halted. 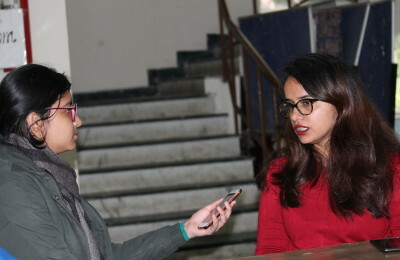 On speaking to Abha Dev Habib, a DUTA representative about the possibility of DUTA meeting with members of political parties, she said that the organisation had done so on the 18th of February, earlier this year, when a large number of MPs joined the protest against the FYUP led by students and teachers. She also spoke about DUTA’s plans to address the new government that will be formed post the upcoming elections.